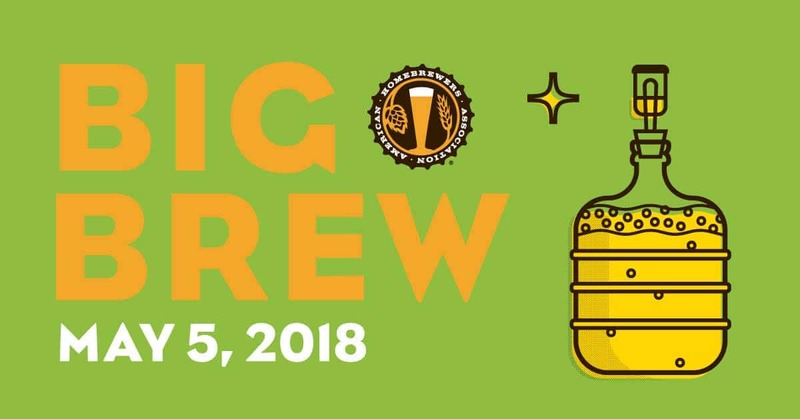 National Homebrew Day is Monday, May 7th, and as a pre-cursor celebration, we’re hosting a Big Brew on May 5th! We’re looking for 3-5 homebrew clubs to come and celebrate National Homebrew Day with a Big Brew at Tysons Biergarten. We will provide space, picnic tables, electricity, and carbon filtered water. Water collection for brewing will start a few minutes after 10am, food and beverage service will begin at 11am. At 1pm, we will raise a glass to cheers to the father of homebrewing, Charlie Papazian. Throughout the rest of the day we’ll have live music, fun and games in the Biergarten. Even if you’re not a homebrewer yourself, you’re more than welcome to come and watch the behind-the-scenes of how beer is born! It‘s a fascinating process and we’re sure our homebrewers would be happy to discuss what they’re doing. If your group is interested in joining us, please email CJ at cj@gocraft.co with the name of your homebrew club/group (if it has one), the size of the system you plan to brew with, which of the Big Brew recipes you plan to brew, and any questions you may have. If you are interested in representing your club but not brewing, also let us know. We’d love to have as many brewers out for the afternoon as possible! More info to come involving homebrew clubs and local breweries! RSVP for free here, and don’t forget to keep track of Facebook for the latest updates.